“My curse is that I see the flaw in all things. Systems. Philosophies. Structures. People. Everything. Never forget who I am.” He is Karnak of the Inhumans, and you will know his name. And when Phil Coulson seeks him out to consult on a S.H.I.E.L.D. case with Inhuman implications, what Karnak finds will terrify you. Can even he go it alone against an entire warehouse full of enemy agents? And when a death cult abducts an Inhuman child and installs him as its messiah, will Magister Karnak of the Tower of Wisdom rescue the boy…or join the cult and help bring on the apocalypse? 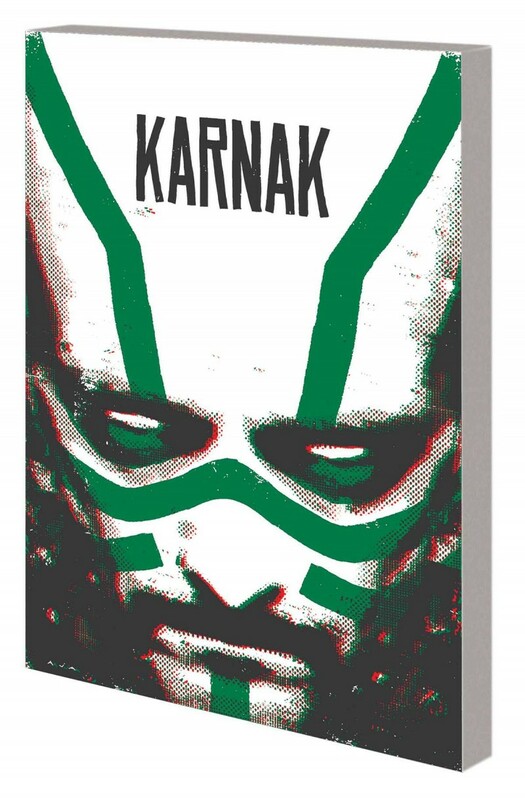 Karnak is the calm amid the storm, and he has the fate of humanity in his lethal hands. Will he save it, or end it?